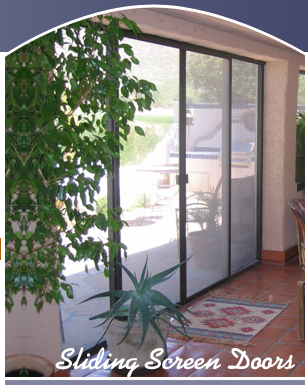 Your last trouble free sliding screen door is constructed for your opening using 2 ½” extruded aluminum frame with metal handle and an inside lever style lock. The bottom metal wheels have bearings and the top wheels are metal allowing your new door to slide easily and requires no maintenance. 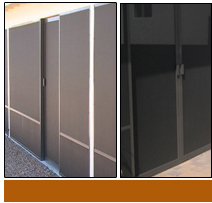 Screens and More will come to your home measure the door opening and provide a free estimate. Your new heavy duty door is built in our shop for your precise opening. We install it guarantee fit and ease of operation. choice of colors to meet your specific needs are offered.